PUNE (NEW DELHI): A group of scientists and students are braving heat and dust this summer in the national capital to map all possible sources of air pollution, so that by winter this year we can get a fair idea of different sources of pollution in the city. Ground level data about emissions from as many as 26 different sources of pollution is being collected throughout the city, as part of a three-month campaign to prepare an emission inventory. The last such exercise was undertaken in 2010 just before the Commonwealth Games. Since then significant changes have occurred in land use and demography. Many new sources, which were earlier not taken seriously or ignored, will now be quantified. While industry and transport sectors are apparent sources pf air pollution, there are scores of other contributors to deteriorating air quality. Preparing a detailed emission inventory can give a clearer picture, instead of the ‘source apportionment’ approach. “Emission inventory is a scientific way to identify aggregated local source contribution and their region specific spatial distribution within a confined boundary. It is more effective tool to identify hot spots and plan control measures,” explained Prof Gufran Beig, Project Director, SAFAR at IITM, while speaking to pune-news.com. The emission inventory campaign has been mounted run by Indian Institute of Tropical Meteorology (IITM) Pune under the Ministry of Earth Sciences. The data being collected promises to be more accurate than what was collected in 2010 because it will include all possible sources of emissions - from crop burning to wood burning in crematoria - and also because of finer grids in which it is being collected. The city has been divided into grids measuring 400 meterX400 meter. In all, there are 12,000 such grids. Of them data is being collected from 1000 grids. In each of the grids, activities contributing to air pollution will be mapped. In each grid, pollution will be mapped in terms of sources such as slums, small scale industries, road conditions, traffic congestion, vendors, population density, vehicle density, road conditions and potential of dust lifting based on paved and unpaved areas. The new sectors and factors, which are being targeted for mapping include condition of roads, pattern of transport flow from surrounding regions, construction activity, aviation, practices of immigrant workers and changing lifestyles, cooking habit etc. The survey also covers emissions due to crop burning, solid waste burning and use of diesel generators. For the transport sector, primary and secondary data will be collected about vehicle density, vehicle kilometres travelled per day, traffic composition, age of vehicle and date of purchase, fuel used and fuel type, use of vehicle (hours per day), number of registered vehicles and existing vehicle technology. “Once we have ward-wise and even smaller level data sets which could be mapped in terms of defined data available for broader boundaries, we will use Geographical Information System (GIS)-based statistical model with inputs from remote sensing satellite images as well as commercially available Google Live maps to develop the inventory. It will thus reflect both primary and secondary data sets for each grid,” said Prof Gufran Beig. The emission campaign will be a useful input for the SAFAR air quality forecasting system. The emission inventory will include pollutants including oxides of nitrogen, carbon monoxide, black carbon, organic carbon, particulate matter (2.5 micron and 10 micron), sulfur dioxide and volatile organic compounds. Mapping will also focus on 35 specific locations where air quality monitoring stations various central and state agencies are located, so that data could be correlated. 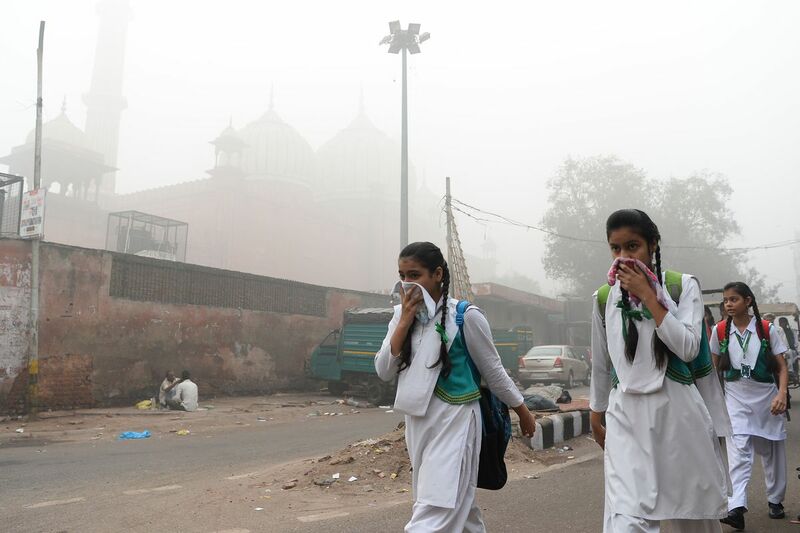 The final product with 400 m x 400m high-resolution emission inventory and it is expected to be ready before the start of winter when air quality deteriorates drastically in Delhi. Students and researchers collecting data along with IITM team are from School of Planning and Architecture, Delhi, experts from Utkal University. The Environmental Information System (ENVIS) Resource Partners hub at IITM, Pune, is a partner to this effort.